Tag Archive | "Siamese Tiger Fish"
The Siamese Tiger Fish (Datnioides pulcher) is also referred to as Siamese Tiger Perch, Widebar Tigerfish, Widebar Datnoid, Gold Datnoid and Wide Bar Dat/Tigerfish by tropical fish keeping enthusiasts. Siamese Tiger Fish come from the Mekong and Chao Phraya basins of SouthEast Asia and are one of only three true freshwater species of Datnioides. Siamese Tiger Fish are striking in appearance with 3 to 4 wide black vertical bands on their silver white to yellow flanks that distinguish them from False Siamese Tiger Fish (Datnioides microlepis) which have 5 to 7 vertical bands. Datnioides pulcher specimens collected from the lower Mekong have a 5th bar which is absent from those collected from the Chao Phraya basin. Sexual dimorphism is not known and no method has been devised to differentiate males from females. 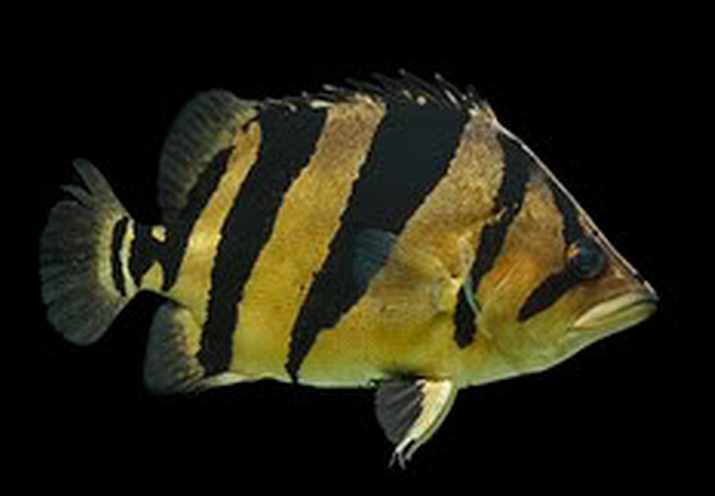 True Siamese Tiger Fish, Datnioides pulcher, seem to be much less aggressive towards other tigerfish than Datnioides microlepis. Both species of Siamese Tiger Fish have protrusile mouths which are used to take large prey and both species cannot be sexed visually. Although Siamese Tiger Fish are sometimes described as being a brackish water species; they are a true freshwater fish that thrives in clean alkaline water conditions. Siamese Tiger Fish should be housed with other peaceful species of their own size, or with at least 5 or more of their own species in a densely planted, 100 gallon or larger aquarium, with a sandy or fine gravel substrate decorated with driftwood branches or twigs that can provide the fish with places to hide. They prefer a dimly lit tank with plenty of swimming space, and because they are extremely sensitive to pollutants, they must have excellent water quality and regular water changes in order to thrive. No captive breeding has yet been accomplished with this species and virtually no information about their breeding habits exist. 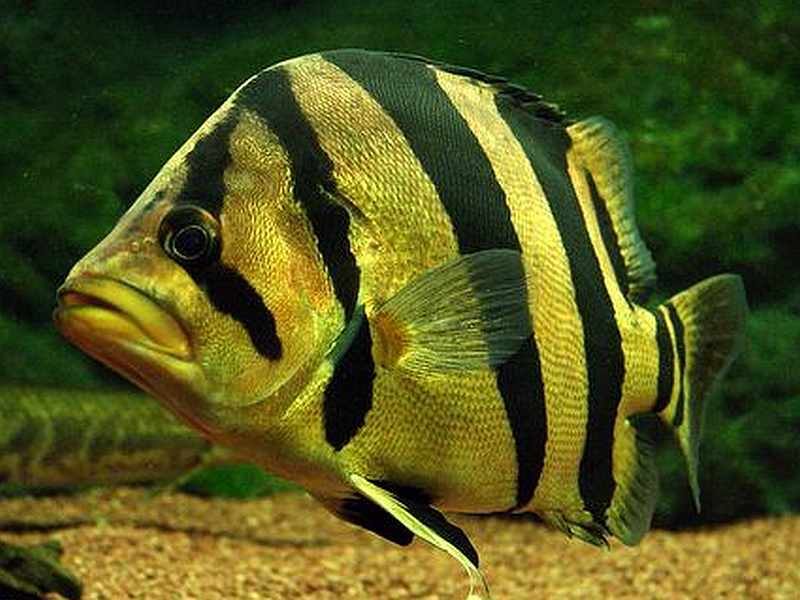 Siamese Tiger Fish are predatory carnivores that eat live fish in their natural habitat. In an aquarium environment they can be taught to eat dead meaty foods such as shrimp, prawn, mussels, white baits, and for juveniles; bloodworms and brine shrimp. Siamese Tiger Fish are rare in the tropical fish keeping hobby and when available for purchase demand a high price.